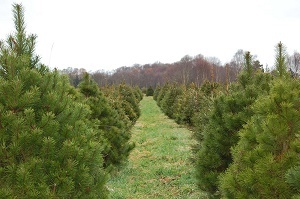 Republic of Ireland Christmas Tree Farms: choose-and-cut Christmas trees, Tree lots with pre-cut trees, stands, sleigh rides, hay rides and related winter events and fun! Whether you want to cut your own tree, pick a live tree and have it cut for you, buy a tree already cut or buy a living tree you can plant, this page provides detailed listings of Republic of Ireland's choose-and-cut Christmas tree farms, places to buy pre-cut (also called pre-harvested and fresh-cut) trees, stands, sleigh rides, hay rides and related winter events and fun. Some listings are for tree farms, others are tree lots, and some only offer hay rides, sleigh rides or other winter events. READ EACH LISTING to know what each facility offers. The farms are listed further down this page, so scroll down the page! Since this service is free and open to ALL Christmas tree farms, not just those who belong to an association or pay for an ad, like almost all other websites do, this is the most complete and current listing available! I'm always looking for more to add, and to correct any inaccuracies or errors, so if you encounter any, please email me ! And please tell the farmer you visit in Republic of Ireland that you found their farm here! I need the farmers to realize that you found them here so that they will keep their information up to date! Center park road, Cork Dockland, Cork, Ireland. Phone: 0877691389. Email: fintan@christmastreecentre.ie. Open: from 25th November 7 days a week; Monday to Friday from 9 am to 7 pm, Saturday from 9 am to 6 pm, Sunday from 11 am to 6 pm. Directions: Located just outside the city center. if you're facing the Elysian building (Anglsea garda station is on your left) coming from south link drive straight and turn right at next traffic lights. At the following lights you should see the R&H hall in front of you then follow road until you meet a roundabout and take first left. As you drive through the straight on centre park road its about 800m on the right behind the Japanese car sales. Click on the link to our map here . Over 1,000 non shed trees for sale from 4ft to 20 ft high. Collection after christmas. Cheapest and best quality coal. Turf and Blocks of wood. Your no.1 for the best selection of real Irish Christmas trees in Cork city. Grower and seller of non shed Noble fir and Nordmann fir from 4 ft to 25 ft. We can also deliver and have Christmas tree stands, holly and wreaths for sale. Glencullen, (beside Johnny Fox's Pub), Co Dublin, Ireland. Phone: 353 087 2750678. Open: Monday to Friday 11 am to 6 pm, Saturday to Sunday 10 am to 6 pm. KKillakee Road, Dublin 16. Phone: 01 5312966. Email: info@christmastreefarm.ie . Arrive at the Killakee Christmas tree farm, nestled in the Dublin mountains. Browse through the extensive selection of pre-cut trees or take a wander in the Christmas tree farm to pick your own perfect tree. Upon entering the farm take a ribbon and wander through the trees at various stages of growth. Browse around to find your perfect Christmas Tree and tie it with the piece of ribbon. Wave out to one of the Killakee Christmas Tree Farm staff who will come and cut the tree down for you. Get ready to shout "Timber" as a Killakee Christmas Tree farm staff member arrives to cut the tree down. Either carry your tree to the netting area or a Killakee Christmas Tree Farm staff member will transport the tree to the netting area for you to get wrapped up. We can prepare the tree for you by drilling a hole in the bottom for a stand, trimming the base of the tree to fit into your stand and netting your tree for ease of transportation. Load your tree into your car, Killakee Christmas Tree Farm staff are on hand to help if required. the Nordman Fir has lovely soft foliage - so won't hurt those delicate little fingers trying to hang the Christmas decorations! We also grow a limited supply of Noble Fir trees with their blue/green hue and upturned branches, this species also retains its needles very well. With our wide selection of pre-cut and pick your own trees we are sure we have the perfect Christmas tree to suit your needs. Click here for a link to our Facebook page. Phone: 01 4582336. Alternate phone: 087 9250064. Email: michaelbyrne@gmail.com. Christmas tree farm in Co. Dublin run by the Byrne family. Open for retail every day in the run up to Christmas. For wholesale please enquire. GlGloves East, Athenry , Galway H65 DD56. Phone: +353 87 267 2386. Alternate phone: +353 87 267 2386. Email: info@galwaychristmastrees.ie . Our trees are growing right on our farm. So you put on your wellies and we have a supply of all sizes if you forget yours! Take one of our signature red ribbons, and off you go to pick the tree just right for you. A Norway Spruce TreeA noble fir treeWe grow all types of trees, the traditional Norway Spruce, the noble fir and the lodgepole pine. You can view your tree from every angle to make sure it's just right! But remember it always seems so much bigger when you put it up in your house! Kiddies love to see the tree being cut down, they can help to carry it and many a child has gone through our netter! We have been growing and caring for our trees all throughout the year. We prune, shape, fertilize, and replant so that you can pick a beautifully shaped, full tree, exactly the way you want it, and perfect for that special place in your home. And for every tree you pick, we plant 3 new ones, so how is that for environmentally friendly! Click here for a link to our Facebook page. North Circular road , Tralee, Ireland. Phone: 086 3746110. Email: psugrue@securmail.ie . Open: 27th of November to Christmas from 9.30am till 8.30. Directions: at North Circular Road, Tralee beside Nolan's Garage or visit our Christmas Tree Farm at Farmer's Bridge. Following the N22, we are located 4 miles from Tralee, 1 mile from Farmer's Bridge turn off. We have hundreds of freshly growing trees to choose from. All you have to do is decide on your own favourite tree & we'll cut it for you! Or just come and choose your Christmas tree from a wide selection of freshly cut trees. We stock Noble fir , Nordman Fir and Lodgepole pine.Our personal approach and expert advice is appreciated by our customers and gives them the confidence to happily refer family and friends to us. BBoleybeg Brannockstown, Boleybeg, Naas, Co.Kildare, Ireland. Phone: 087-2453795. Email: martin@kildarechristmastrees.com. Open: from December 2nd to December 22nd (inclusive) from 10 am to 6 pm. We sell freshly cut real Christmas trees. Come and choose your freshly cut Christmas tree from our farm in Kildare. Directions: Located 20 minutes drive from Naas and 50 minutes from Dublin. Click here for a map and directions . Our family farm offers an excellent selection of high quality Noble Fir and Nordmann Fir Christmas trees. You can select a fresh tree from our display area in the farm yard, or take a walk through the forest and select one and we will cut it for you. We also sell firewood. Buy a bag when you come to buy your Christmas tree. 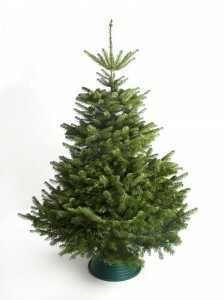 We supply 3ft Potted Nordmann Fir Christmas trees. These bushy trees have been specially grown on our farm in Kildare. With a little watering these trees will maintain their freshness and will survive indoors well over the Christmas period. Please note that these trees are not designed for planting in your garden after Christmas as it is highly unlikely that they will transplant successfully. Click here for a link to our Facebook page. Gorey, Co. Wexford, Ireland, Y25 DW74. Phone: 086 3763933. Phone: 087233 1443. Email: info@coolnastudtrees.com. Coolnastud Christmas Trees is a family run Christmas tree Company based in Gorey, Co. Wexford, in Ireland, which has been growing and harvesting Christmas Trees for over 30 years. We produce trees for the wholesale and retail markets in Ireland, UK and parts of Europe. We welcome customers to our farm to select and purchase their tree directly from the grower. Trees can be collected generally from 25th November onwards. Please contact us for exact dates and times and any further information. Glendarragh,Newtownmountkennedy, Greystones, Co Wicklow, Ireland. Phone: 087 797 4521. Email: christykavanagh@gmail.com. Open: 1st December, 20th December (10.00 a.m, 8.00 p.m). When you purchase a tree at Leopardstown Racecourse you know that it was grown locally on our family farm where it was well cared for in ideal growing conditions. We have sold trees at Leopardstown since 1999 and appreciate our loyal customers. At our retail locations we sell Noble, Korean and Nordmann Fir with cut and container grown specimens available. The customer can choose their preferred tree or trees. The tree then will be prepared by our staff to suit the type of stand you have, i.e. drilled or 2cms cut from the base to allow the water to re-enter if you use a Water Stand which is recommended. Trees can be delivered and collected after Christmas. Trees available to purchase in both sites above are as follows: Sizes Available: 2ft, 15ft..
Moneystown, Roundwood, Co. Wicklow, Ireland. Phone: (+353) 087 661 6758. Alternate phone: (+353) 086 322 7116. Email: mdhickmott@gmail.com. Open: Sat 3rd, Sun 4th December, Sat 10th, Sun 11th December, Sat 17th, Sun 18th December 2016, from 11 am to 4 pm. Directions: click here for a map and directions . Customers are welcome to our farm to choose their own tree. We will cut it, net it and load it for you. Prices are from €40 for a 5 foot tree. Make a day of it with your family, bring your wellington boots and gloves and find that perfect tree amongst the 1000's of trees on our farm. Click here for location. 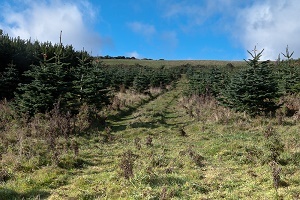 All our trees are Noble Fir (non-shed) and you can't get a fresher tree than this. This Christmas come to our farm and find the tree that's right for you! Click here for a link to our Facebook page. Phone: 085 7064411. Email: leahymchugh@gmail.com﻿ . Phone: 005386 8130354. Email: mmsweetnam@hotmail.com. .
00 44 2871811838. Email: odonnelleglinton@virgin.net .. Phone: 0862544364. Email: forestfresh@eircom.net . Forest Fresh Ireland was established in 2000 with the acquisition of Silver Firs plantation in Co Wexford. In 2006 we added further acreage to our sites in Wexford and we have continued to invest on an ongoing basis and as a result we are now one of the largest growers in Ireland with farms in Wicklow, Wexford and Tipperary. Phone: 0876778426. Email: pkmcdonald3@eircom.net . Phone: +3534690 52144/52311. Email: joseph.gogarty@gmail.com. Phone: 087 2115813. Email: seanjfahey@eircom.net . Phone: 087 7614072. Email: hjlooby@gmail.com. Phone: 053 9122033. Email: sales@emeraldgroup.ie . The Emerald Group was founded in January 1989. It is based primarily in the South East of Ireland where it manages over 350 hectares of Christmas tree plantations. Emerald is the largest grower of quality trees in the British Isles. Phone: 086 2669640. Email: joepflynn@gmail.com. Phone: 0894519641. Alternate phone:086 0336416. Email: seamustimmons@eircom.net . Phone: 086 8197947. Email: katherinegbyrne@me.com. Phone: 0872637246. Email: mollyslarder@iol.ier . Phone: 087 6371363. Email: andrewhatton@eircom.net . Phone: 087 7674960. Email:fairwoodchristmastrees@gmail.com. . . Phone: 086 8292309. Email: dermot@rathcon.com. . Phone: 0596481562. Email: westerholt@online.ms . Phone: 086 8547770 071 9186202. Email: copperjohn@eircom.net﻿ ..